Our designers embarked on a whirlwind tour of the Silk Road, bringing home only the most special pieces for our persian design archives. These exquisitely exotic patterns form the basis for the Izmir Collection, imaginatively remastered to suit modern color palettes. Rare Persian patterns, such as Agra and Tabriz, are the crown jewels of hand tufted rugs. Showcased here in supreme splendor, Kaimuri reveals one of our weightiest, most luxurious constructions. A classic tale of intrigue unfolds from detail-dense Kinsley. Redolent with flowers, missing maharanis, escaping elephants and stolen rubies emerge with exuberant flourishes. Made by master weavers in India, this area rug collection lays claim to pure virgin wool. We’ve restored these magnificent old world carpets to their former glory with the Mumtaz Collection. Steeped in history, the handcrafted designs exude a soothing sense of timelessness and inviting hospitality. These classical wonders rely on exceptionally detailed traditional designs, enhanced by a proprietary double-washing technique that highlights the antiqued finish, to equal the bar set by their illustrious Persian forebears. Cabin Retreat is a playful way to get the lodge look. Bring the great outdoors home with the striking lodge pattern. Precision woven using sturdy double-twisted olefin yarns. Cabin Retreat combines comfort quality. Sitting on the dock of the bay with waves gently lapping at our bare feet might just be our favorite pastime. Ever. Those soothing currents of water inspired the subtly textured surface of our placid Bayview rugs. We think a big welcome is in order for our Homecoming Braided Rug Collection, crafted with all the familiar comforts of home. Soothing colorways and an inviting approach ensure there’s no place like home. The SEA GLASS style is a outdoor rug design from Capel Rugs. Made-to-order, Sea Glass rugs have a variegated pattern and a braided construction. This style is reversible for twice the wear. Save Description Songbird Cardinal Red Braided Rugs Part # 0103-550 The brilliant plumage on display at our local aviary illuminated our sweet Songbird Collection. Dazzling brights invigorate these popular, reversible braids with a kitchen rug sensibility. The WORTHINGTON style is a wool, casual rug design from Capel Rugs. Made-to-order, Worthington rugs have a solid pattern and a flat woven construction. This style is reversible for twice the wear. The LARIAT style is a casual rug design from Capel Rugs. Lariat rugs have a flat woven construction. This style is reversible for twice the wear. The NY DOT style is a wool, transitional rug design from Genevieve Gorder and Capel Rugs. NY Dot rugs have a flat woven construction great for kids. This style is reversible for twice the wear. Neoclassic blooms flourish with abundance on the fine wool ground of Eloquent Garden, displaying a well-cultivated aesthetic. We’ve triple-washed this collection for unsurpassable softness and luxurious sheen. The SKYLINE SHAG style is a shag rugs design from Capel Rugs. Skyline Shag rugs have a striped pattern and a hand tufted construction. The BENGAL style is a geometric rug design from Capel Rugs. Bengal rugs have a hand knotted construction. 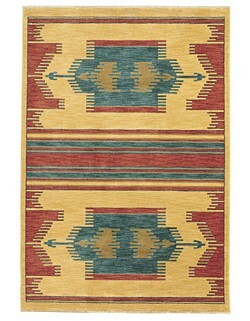 This style blends hand-knotted craftsmanship with the casual appeal of southwestern design. jute. Our Austin Collection translates traditional Ushak and Kirman designs with a deft hand, allowing a natural lightness and airiness to shine through. On-point for the present day, these newly refreshed transitional designs are an impeccable choice for both classic and contemporary interiors. The Abstract style, a member of our Cosmic collection, is a contemporary rug design from Capel Rugs. Cosmic-Abstract rugs have a hand loomed area construction. The BAYVIEW style is a wool, casual rug design from Capel Rugs. Made-to-order, Bayview rugs have a braided construction. We’ve been beguiled by Suzani textiles for, well, forever – in fact, we adore framing these embroidered beauties like art (to our way of thinking, they are). Charming Suzani is no less glorious than its namesake, flowering into an epic master work. From original braids and the finest hand-knotted rugs to innovative indoor-outdoor and youth-friendly collections, Capel offers more rugs in more categories than any other rug company. The company's complete product line includes one-of-a-kind, Capel proprietary, private label and licensed designer rugs. Capel's rugs adorn the floors with color, craftsmanship. classic and creative patterns.